Upset Prevention and Recovery Training (UPRT) is dedicated pilot training developed specifically to mitigate the risk of Loss of Control In-flight (LOC-I), aviation’s biggest threat to air safety. UPRT has often been referred to by other terms including all-attitude maneuver training, stall/spin awareness & recovery, advanced maneuvers training, upset recognition training, emergency maneuver training, upset prevention training and more. The term Upset Prevention and Recovery Training (UPRT), as used by ICAO in its Manual on Aeroplane Upset Prevention and Recovery Training (ICAO Doc 10011) and by the FAA in Advisory Circular 120-111 Upset Prevention and Recovery Training, is the industry standard. ICAO Doc 10011 accurately describes the emphasis on awareness and prevention that is essential to effective UPRT and also the significance of learning recovery techniques to further increase upset prevention. Stall awareness, prevention and recovery is a subset of UPRT and is comprehensively addressed. APS has been on the ground floor of the research and development of UPRT, and we have worked with international safety agencies and a diversity of UPRT working groups to help shape forthcoming policy and establish best practices. 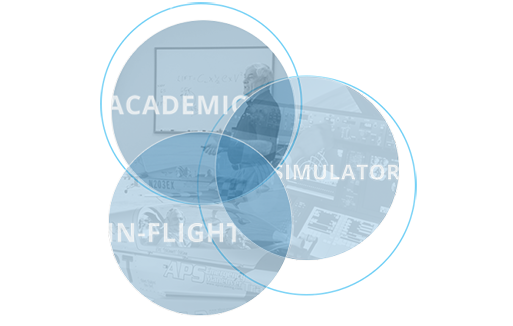 As more UPRT providers pop up in response to increased demand for this highly specialized area of flight training, we present “The Full Story” below. The Full Story highlights the critical UPRT components necessary to ensure pilots receive effective, lasting UPRT so that the often counter-intuitive skills needed to save lives become second nature. No single training medium on its own comprehensively reduces the risk of the Loss of Control In-flight (LOC-I) threat. Effective LOC-I mitigation necessarily integrates focused academics with multiple on-airplane training sessions to embed foundational skills. Jet pilots must transfer these core skills to their aircraft via state of the art flight simulation. This tri-level integrated structure promotes synergistic learning resulting in a powerful, hands-on experience with lasting impact. Exposure to upset training can be introduced in a couple of flights in a jet or piston airplane, with negligible lasting value. Mere ’exposure’ does not provide sufficient mastery of airplane upset strategies needed by pilots to save lives in a time-critical, life-threatening upset event. Targeted ‘training’ incorporating the necessary threshold amount of hands-on practice is required to implant lasting, transferable, upset prevention and recovery skillsets. This is how APS differs by providing pilots the necessary amount of upset training for effectiveness and retention. Training is only as good as the dedicated, caring people behind it. Pursue the whole package; one in which the qualities and qualifications of the entire training organization extend far beyond regulatory minimums. Require a steadfast dedication to aviation safety in a training environment where VIP customer care and customized solutions are part of the culture; where past clients openly testify to the quality and effectiveness of the training services. Demand experts. Fighter pilots, test pilots and aerobatic pilots are never “natural” upset instructors. Effective upset instructors are developed through intensive standardization to industry-approved concepts while being held accountable through on-going quality assurance. Elite qualifications and experience are only the beginning, every upset instructor must be subject to a rigorous instructor qualification process specific to the delivery of Upset Prevention and Recovery Training (UPRT). Everybody pays lip service to being the leader. Leadership must be demonstrated, not simply claimed. Gravitate to a true global leader that has helped set new industry standards. APS is world-class, where leadership is defined through the implementation of revolutionary training solutions. In collaboration with the International Civil Aviation Organization, the Federal Aviation Administration, European Aviation Safety Agency and others, APS is a true global leader with international training locations on multiple continents and a world-renowned client-base. APS is a Part 141 Flight School and was the first IS-BAO registered UPRT provider in the world.